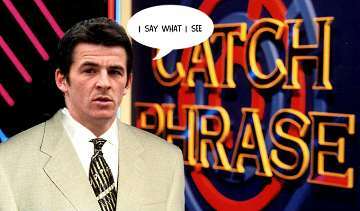 Archive for category: Joey Barton. Newcastle’s Genuine Top 4 Assault. The fall and rise of Newcastle United? It is certainly fitting of Newcastle’s unexpectedly successful season that, on the night of the 12th March, after a 2-1 defeat to Arsenal at the Emirates, they trailed the 4th placed Gunners by eight points. Nothing wrong with a little bump ‘n’ grind at Toon? I think it’s fair to say that yesterday’s win against QPR at Saint James’ Park wasn’t the prettiest game to watch, though it was still a very welcome and grinding win. While the Toon faithful may not like seeing such meagre fare, I feel it’s a very satisfying way to collect three very important points sometimes. Of course, we can point to the players that have gone to seek their fortune in Africa Cup of Nations, not being here. There’s also the little matter of QPR kicking one our best players (Cabaye) off the pitch with only 20 minutes on the clock. It was good for us that their midfield schemer one Joey Barton was prevented from rocking up to SJP with his new club and manager because of suspension for a red card. They also lacked the skill of Taarabt and the power of Troare, also in Africa. It maybe would have been a very different game with them playing. Not to mention Demba Ba and Cheik Tiote. Newcastle United vs QPR match banter! No Joey Barton show this time. Venue: St James’ Park, Toon. Date: Sun 15th Jan 2011. Hello, good afternoon and welcome to our regular “match banter” feature. This time the Magpies will be facing the transitional Queen’s Park Rangers under new manager, Mark Hughes, he of the slightly annoying mid-sentence sharp intakes of breath. The Joey Barton interview video. Joey Barton: Saying what he sees. Well, Joey Barton did promise on Twitter that he would “tell all when the time was right” and he’s finally kept his word. Some (misquoted) sections of the interview have already appeared in the media and other ‘blogs, so I decided to make a more accurate and extensive transcription of all the sections which related to Newcastle United. I’ve have also included the mp3 podcast of the entire interview at the bottom of the piece.